Organisers have announced Stereosonic will not go ahead in 2016, following reports last night the event may have been permanently cancelled. But promoter Totem OneLove, owned by SFX entertainment, says they will be back "bigger and better" next year. It's not clear whether this will be under the Stereosonic name, or whether the Australian juggernaut will be replaced by a new venture. Responding in a Facebook update on the Stereosonic page, they said: "Totem Onelove Group is currently working on bringing Stereosonic fans the best festival experience possible. As part of this, we are taking a hiatus during 2016. However, we will return in 2017, bigger and better. We will see you soon!" If that's the case, they'll be on the hunt for a new office space in Melbourne. 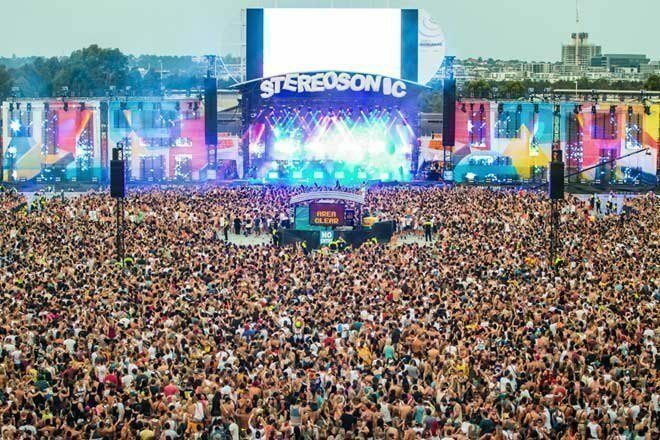 Stereosonic's Victorian base is up for lease on a commercial property website, leading to more speculation on the festival's future. Then there's the bankruptcy of parent company SFX in the US, which Totem OneLove addressed in February, saying Stereosonic would not be affected and they were "cash-flow positive." Dance music's biggest names have been heading to Australia for Stereosonic since it started in Melbourne in 2007. It grew to become a national force on the festival calendar, taking in Melbourne, Sydney, Brisbane, Perth and Adelaide each summer. At its peak, it expanded to two days in 2013 and 2014. But its reputation has taken a hit in recent years. Festival founder Frank Cotela slammed "the roid up bro's muscle culture" of some attendees following a brawl at the Sydney event in 2014. Last year, the drug-related deaths of festival-goers Sylvia Choi and Stefan Woodward sparked increased calls for pill testing at Australian events. No other reason for the year off has been given by Totem OneLove or SFX, so stay tuned for developments on Stereosonic's future. Scott Carbines is Mixmag's Australian Digital Content Editor, follow him on Twitter.